I’m about to head to Wisconsin to be with family for the holidays and get all snowed in and cozy for a spell. 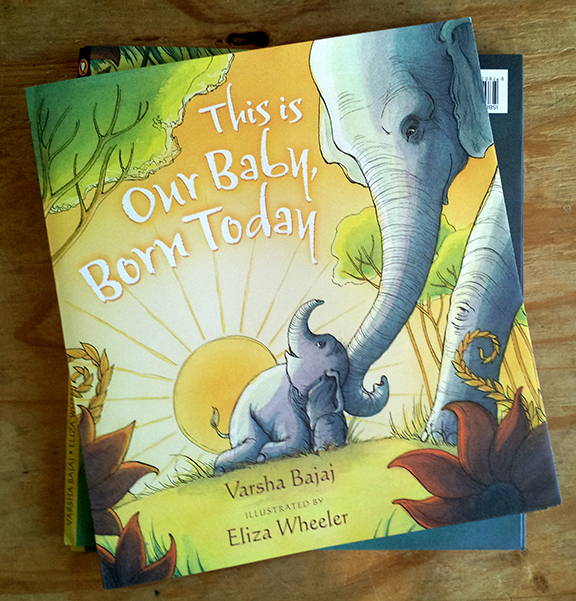 I just got the F&G’s in for a picture book that I illustrated earlier this year, called This Is Our Baby, Born Today, written by Varsha Bajaj, about the first day that a jungle community welcomes its newest member, a baby elephant. 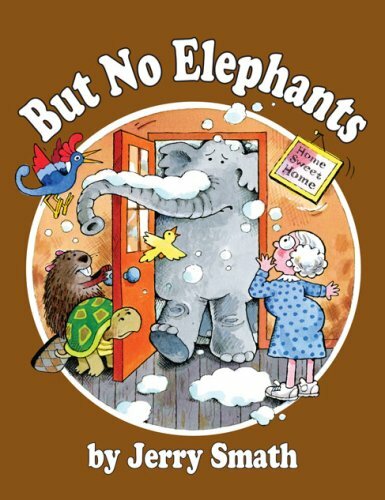 BUT NO ELEPHANTS, by Jerry Smath. This was one of my childhood favorites. On revisiting it, I was reminded of why it was so great. The story builds up to wintertime, where the scenes get increasingly cozy and perfect, yet we know what has to come eventually . . . Skip to the saddest thing ever: an abandoned, snow covered elephant crying alone outside the house. It becomes inevitable . . . Grandma Tildy MUST take this poor big guy in. And then things go horribly wrong, as she knew they would. But, this problem she’s been avoiding doesn’t turn out all bad, and problems give rise to wonderfully sunny solutions. This book has that similar “everything goes wrong” cringe-worthy element as HENRY’S AWFUL MISTAKE (which I discuss here), but is different in that it slowly builds cozy, happy scenes before dashing them all to pieces. 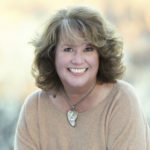 One thing picture book writers have to decide is when to bring in the problem: do you create a domino effect of things going wrong right from the start, or do you set up a perfect world that a problem comes in and messes up? In the case of this story, it’s nice that things are working well first, and Grandma Tildy’s problems are seemingly being solved before the real problem hits. As the way things always seem to go, if we set up our lives up on a delicate balance where everything is perfect, as long as that one thing doesn’t happen, it seems that one thing will always eventually happen. What’s demonstrated in BUT NO ELEPHANTS, is that sometimes the problem we resist the most can give rise to solutions to many problems all at once. The problem becomes a vehicle to a new and wonderful place, where everything has expanded, everything can be included, and there’s harmony and enjoyment for all. In this case, the vehicle is in the form of an old house traveling on the legs of a pet elephant. If you’d like a book that features cozy, wintery scenes, but isn’t holiday specific, or want to see about how to set up a great picture book story, or need a good reminder of how to make the best of looming problems you may be resisting in your life, I recommend this one. But No Elephants, Eliza Wheeler, Jerry Smath, Winter. Bookmark. Congratulations on illustrating another lovely book that is coming soon. I liked how you tied your visit to winter weather and two elephant books. Like you, I always loved No More Elephants. 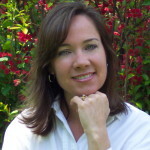 Thanks for discussing plot and decisions about when to bring in the problem. That was helpful. Happy holidays and time with family! Congratulations on the new book! Love the cover!! and can’t wait to read it. And anytime we get a reminder of what makes other storylines work – is always a bonus. Safe travels and Happy Holidays! Sounds like a lot of wisdom in BUT NO ELEPHANTS. Thanks for sharing–I haven’t read it. And your upcoming book looks like another charmer. Congratulations, Eliza! LOVE elephants!!! Cannot wait to read this one. The illustrations are adorable! Thanks for sharing, Eliza :). Your new book looks great! I can’t resist a baby elephant. I’m going to look for But No Elephants at my library. Thx! Thanks for the inside scoop on this upcoming book. Sounds wonderful! Congratulations, Eliza! And thank you for sharing about “But No Elephants”, I’m anxious to check it out. Happy Holidays, I hope you’re enjoying your family time!